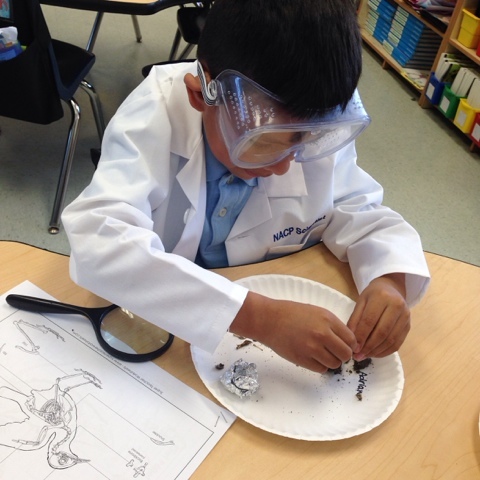 As our unit on owls continued, my little scientists were excited to learn about a feature of birds that are predators - creating a pellet! 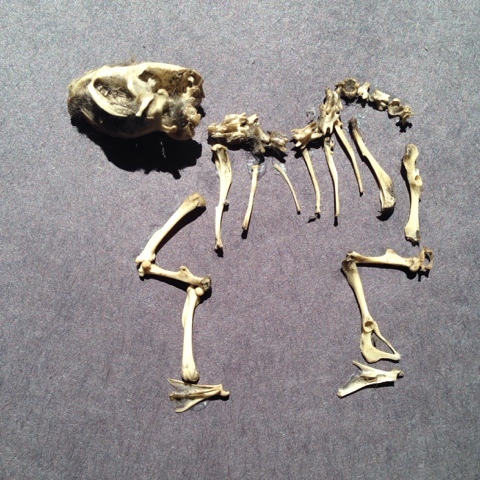 They used new vocabulary - like 'regurgitation' - as they learned that owls hunt, eat and then digest their prey in two stomachs - regurgitating the pellet containing that which can't be digested (bones and fur). After learning about the process, my students organized their thinking by making a Flow Map. 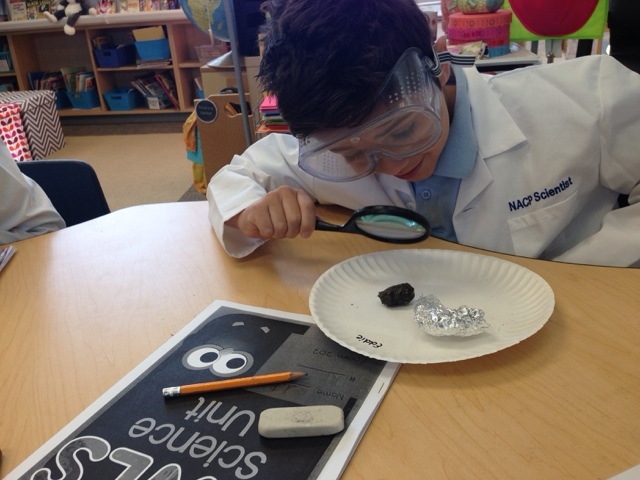 Then, my scientists worked with their partners and did a little TPR to reinforce an understanding of the process needed to make a pellet. 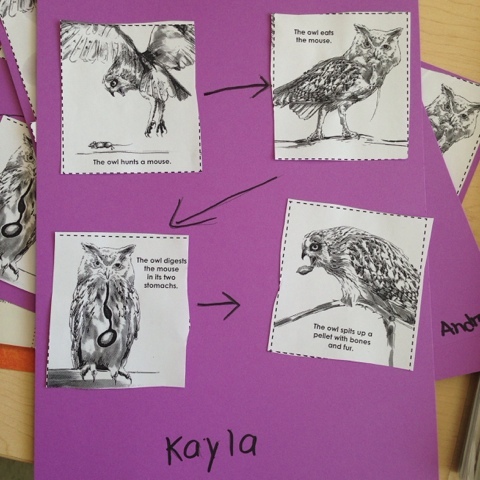 Individually, they made some scientific predictions about what owls eat, and got to the business of discovery. 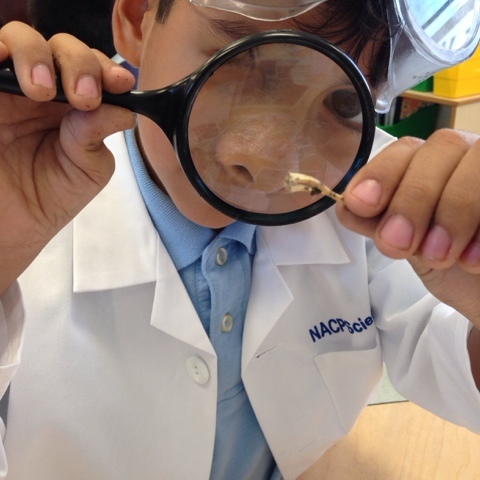 My scientists were outfitted with goggles, lab coats, magnifying glasses, tweezers and were given a packet with several bone diagrams to choose from as they did the work. 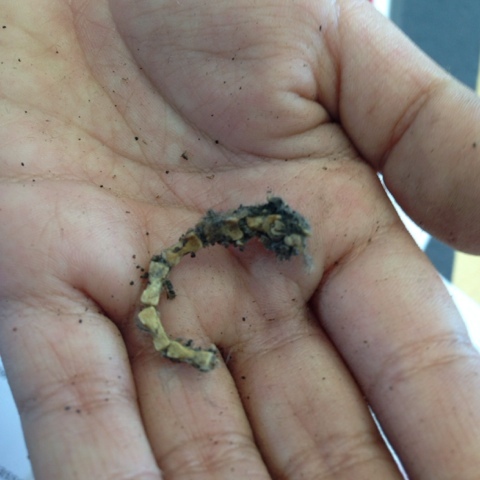 First, they unwrapped the pellet, and carefully dissected it. 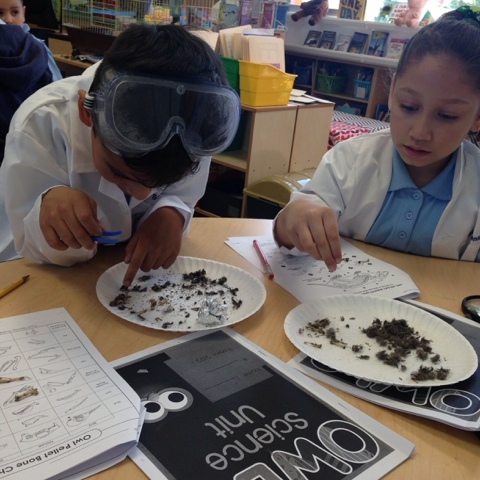 Then, they sorted bones and then tallied up the different kinds of bones they identified. 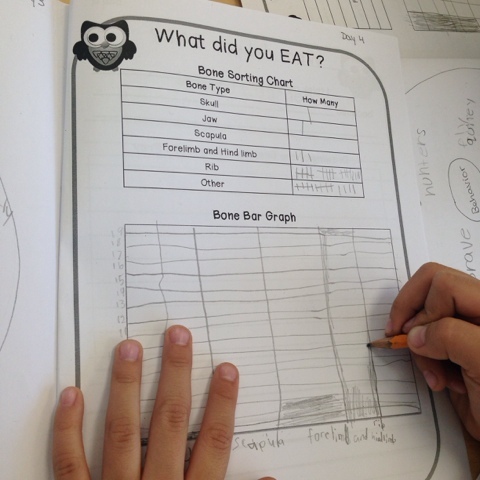 After they'd tallied the bones, they created a graph to illustrate their findings. 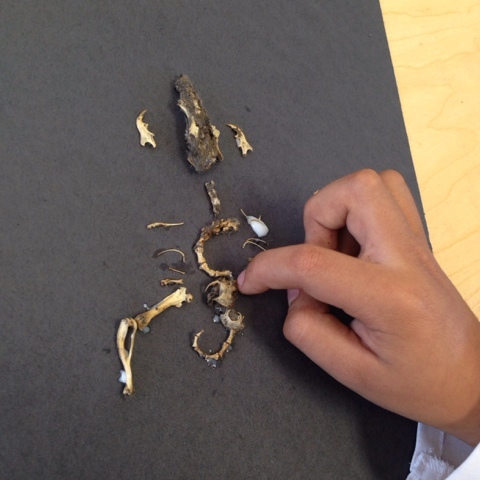 After, they reassembled the bones and then wrote about what they found and how that related to their prediction. 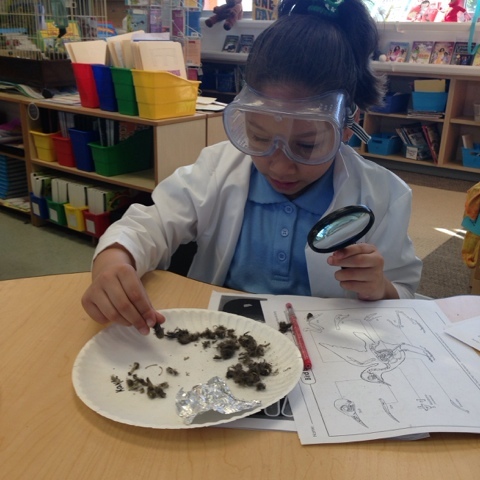 Finally, they will prove their understanding by creating an iMovie to teach other students how to dissect owl pellets.